Conrad Weber was born in Norka, Russia on December 22, 1893, the son of Conrad and Catharina Weber. Conrad married Christina Scheideman (born February 1, 1895). Conrad and Christina had four children; daugther Katherine, twin daughters Esther and Marie, and son Edward. Conrad's mother, Catharina Weber, served as a midwife when their children were born. At that time, most children were delivered at home. ​Family stories tell that he paid a friend the equivalent of $25 to borrow his Russian citizenship and military papers that would fool government officials into believing that he had served in the military. When Conrad arrived at a small town near the Russian border, he mailed the papers back to his friend in Norka. His friend then used the papers to immigrate to South America. Conrad immigrated on his own to the United States in 1912 arriving in Portland, Maine on December 8th on the steamship Teutonic sailing from Liverpool. Upon arrival, Conrad traveled directly to the home of his brother-in-law at 294 Beech St. in Portland, Oregon. Conrad arrived in Portland with $5 in his pocket and quickly settled in the Volga German neighborhood in Albina. His friends helped him secure a job and on his second day in Portland he was laying street car tracks on Williams Avenue. Christina and Conrad Weber celebrate their wedding anniversary. Courtesy of Pat Hefflin. ​Conrad's parents and his brother Nicholas and his family arrived in Portland in 1913. Conrad and his brother Nicholas ("Nick") worked for the Oregon Washington Railway and Navigation Company as carpenters, then at the shipyards during World War I. Both men were exempt from the draft because they were married and had families. For some period of time the brothers would work a shift at Willamette Iron and Steel and then travel in their old Ford to the shipyards in North Portland where they would work another shift. After World War I, the shipyard jobs ended and the railroads were no longer hiring. Nick and Conrad decided to purchase a garbage collection route for $1,500. Conrad also invested in farmland with his brother-in-law, John Scheideman. They shared in the cost of of the land and seed stock and John agreed to work the land. The land was a good investment for the family the sale proceeds were distributed to Conrad and Catharina's heirs after their deaths. 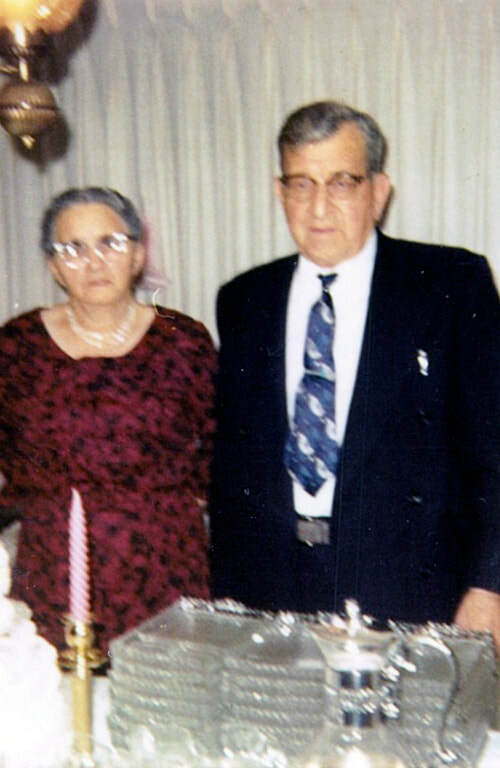 Conrad was a talented carpenter and he helped many friends and neighbors build garages, barns and houses. 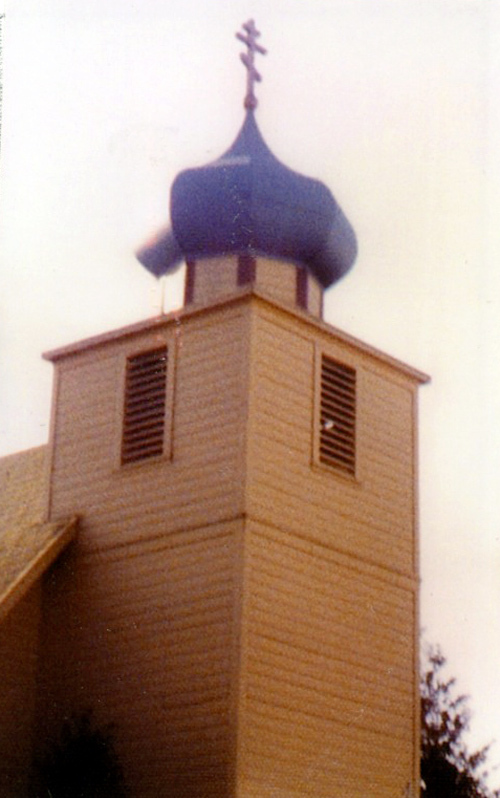 One of Conrad's most notable works is the "Russian" dome that he helped build for the St. Nicholas Russian Orthodox church that was located right behind his house. The church was originally the Free Evangelical Brethren Church, built in 1907 and located at 3605 NE Mallory. In 1927, the Free Evangelical Brethren Church relocated to a newly built structure at NE Mason and Garfield in 1927. The structure on NE Mallory was sold to the St. Nicholas Orthodox Church who remained in this building until 1980 when they moved to 2210 SW Dolph Court. The leader of the church in 1927 was Fr. Constantine Lebedev. Fr. Lebedev and Conrad developed a friendship and Conrad was asked to help build the onion shaped dome that would replace the original four-sided pyramid shape spire that stood atop of the church belfry. The dome was built in Conrad's garage. He then erected scaffolding to remove the old spire and replaced it with the new dome. Conrad would climb up the belfry periodically and paint the dome for the church. The dome is currently painted blue, but years ago it was painted a brilliant gold. The dome built by Conrad Weber. Courtesy of Pat Hefflin.